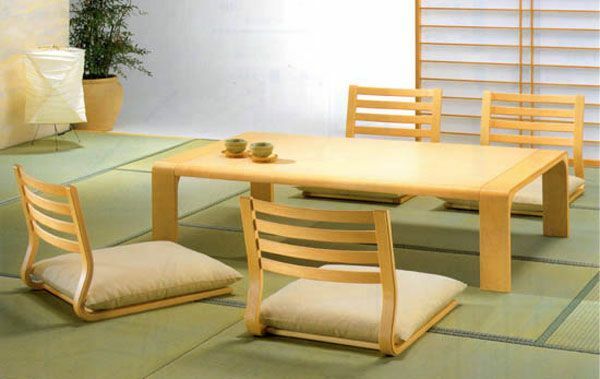 The essence of Japanese traditional sitting life style arranged with time and space is making a space which can change multipurposely. Just the variety of this simple life, is a sense of beauty of Japanese living which goes in present-day. 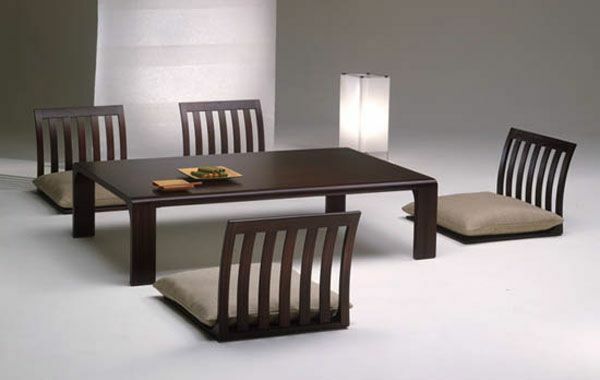 Japanese interior design makes careful use of space and light and always takes into account the concept of yin and yang. 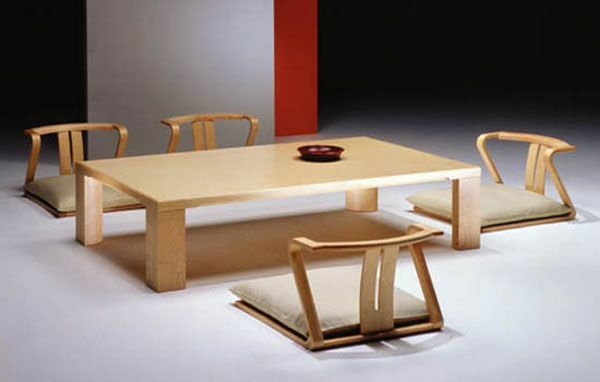 The Zataku dining table from Hara Design is cool furniture for anyone who likes to decorate their home on minimalist Japanese style. 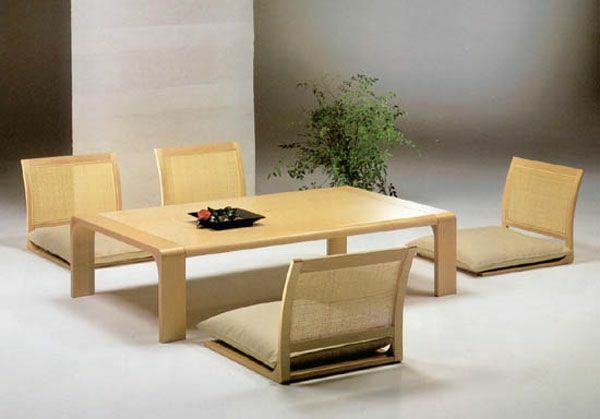 Zatuku dining furniture set featuring Zaisu chairs which are popular as traditional Japanese seating that have a back and cushion, but no legs.